I’ve become something of a regular at Marys Peak. I do prefer doing new hikes instead of old ones, but I’ve learned that just because I’ve stepped foot in a place once, it does not mean that the next experience will be the same. In fact, it can be very different from season to season and day to day. This was reiterated on today’s hike. I wasn’t too surprised that ours was the first car in the parking lot at 10 am. It was…rainy. And not the usual Corvallis rainy. I mean real, torrential, apocalyptic rainy. Our first steps on the trail were foreboding. A stream of water poured down the trail. 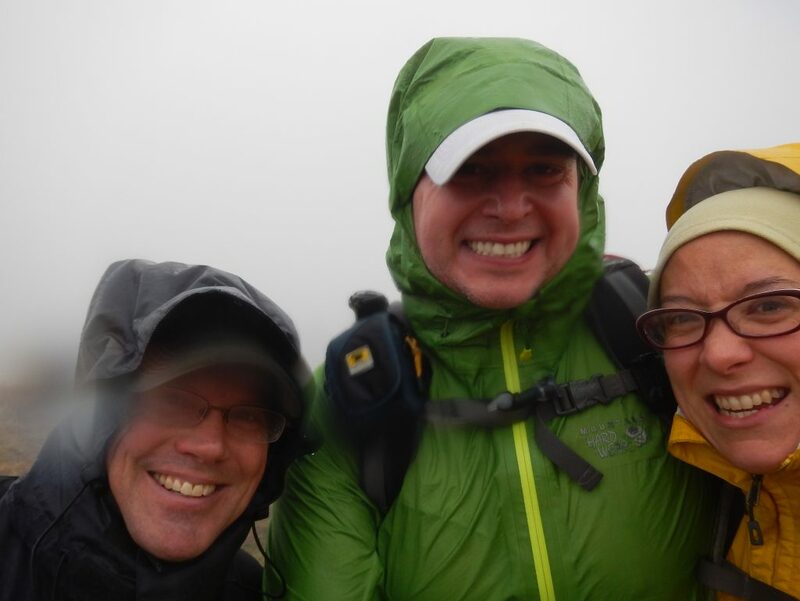 Glad we had our rain gear! My two hiking partners and I tromped up the East Ridge, surrounded by salal and Doug fir. 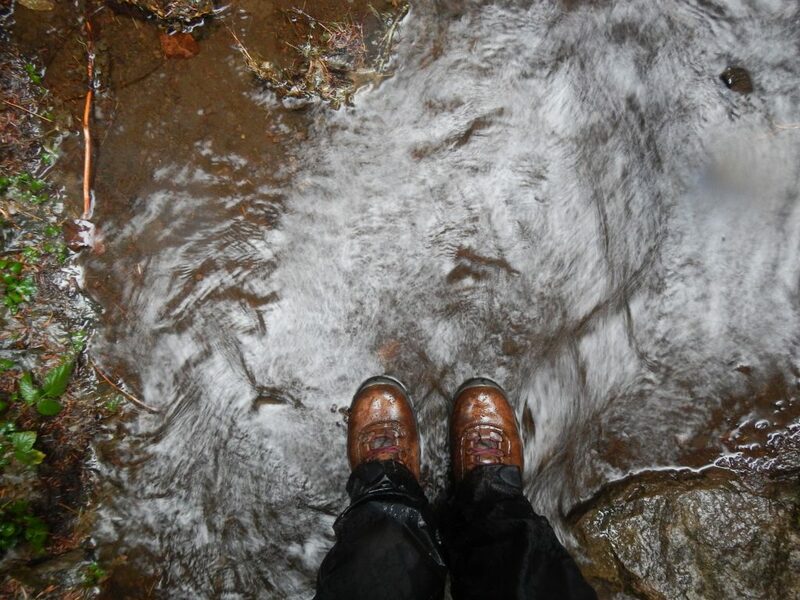 The trees provided a buffer from the rain but our feet were nearly constantly assaulted by the water cascading down the mountain. 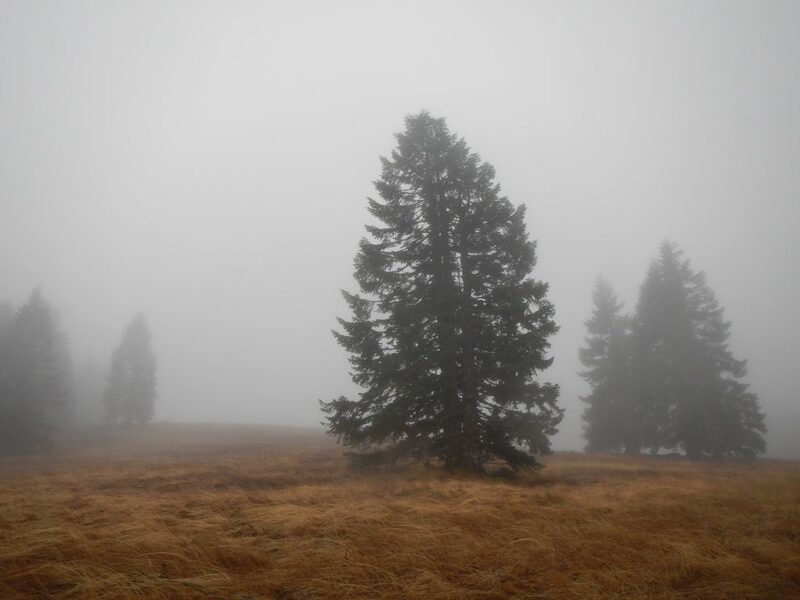 Once we hit treeline we were exposed to the full brunt of the storm: rain, wind and cold. The visibility was pretty close to zero as we battled our way to the mountaintop. There was just enough time for a quick group photo before we headed to the safety of the trees. The upper meadows were saturated with water and again the trail served as a conduit for flowing water. I was never more grateful for Goretex boots. 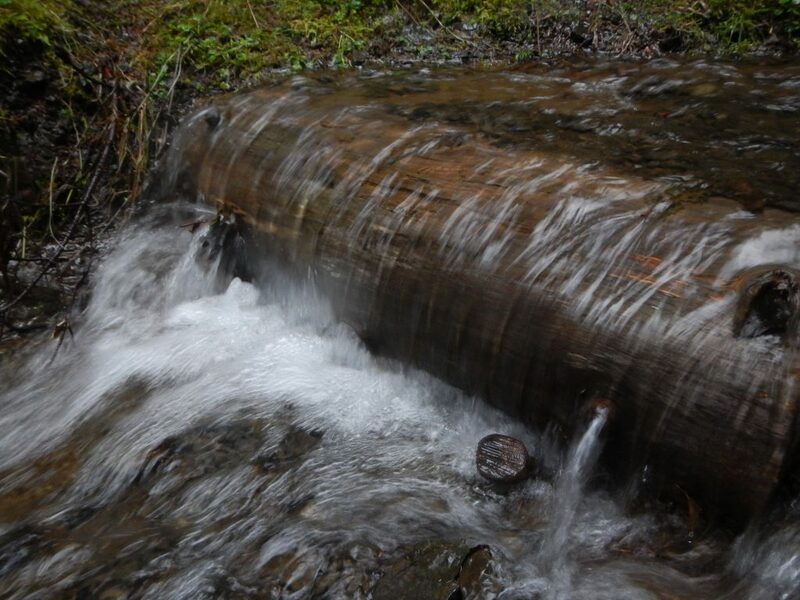 As we walked along the Meadow Edge Loop we discovered new waterfalls that were created by logs in the trail. Mushrooms, lichen, and plants all looked pretty happy in this soggy environment. Back on the East Ridge, we retreated quickly. There was no reason to linger today. We cut an hour off the previous group time by simply taking fewer stops and keeping the pace up. Regardless of the conditions we still had a good time, putting our civilized selves into the elements and taking the challenge head on. Sometimes you just need to get out of your comfort zone. 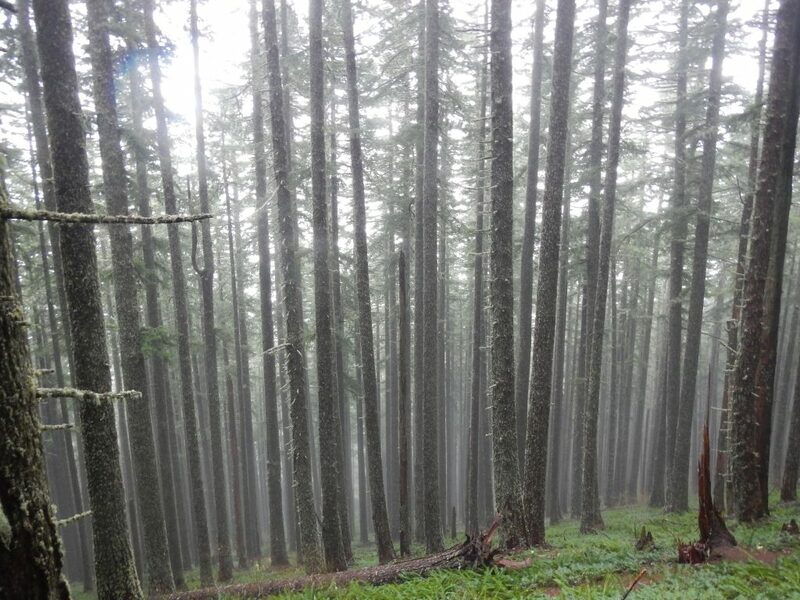 This entry was posted in Hiking, Oregon and tagged hike366 on December 22, 2014 by Jess B.